Top 10 Social Media Networks To Market Your Blog Posts & Boost Your Traffic ! Getting traffic is the ultimate aim for all bloggers but only few people achieving it. Just searching for keyword and writing posts won't help for new sites because new sites need some time to get traffic through search engines. In starting your site will be ranked low on search engines so don't wait for people come to your site, you go to them and tell you have something that they want. For Newbies, its wise idea to start social media marketing for traffic. If your content is unique and useful, your post will get more likes and shares which will give exposure to your blog among new set of audience. Tip: Gain natural share for your blog post using responsive social sharing widget ! Guys, just sharing your posts in Facebook profile won't help a lot. People who are following you on Facebook are your family and friends so it won't help you unless you have created audience for your blog. Here I am going to share top ten sites to share your blog post immediately after publishing. As I said earlier, merely sharing your post in your personal profile won't help but you can create a page for your blog or even you can create a separate account for Blogging career and target the people who are interested in your Niche. Even if you created a separate page for your blog don't irritate your users with annoying links. Try to impress your readers with images, videos and status and always respond to your reader's comments. Next to Facebook, Twitter is the more populated social network and also creating a brand in twitter is easy. Create a separate account with your own identity or if you wanna make your blog as a popular brand then open with your blog name. Follow celebrities of your niche and retweet their tweets, respond to them and in turn they will follow you or retweet your link by which you can earn quality traffic. Google plus is the site, bloggers should not skip. Whenever you post, just share it in Google+ with perfect title and tag. Apart from traffic, it will be helpful in Google search. Whenever your Google+ friend or follower search for something in Google, they will be notified with your post if you have shared something related to their search. 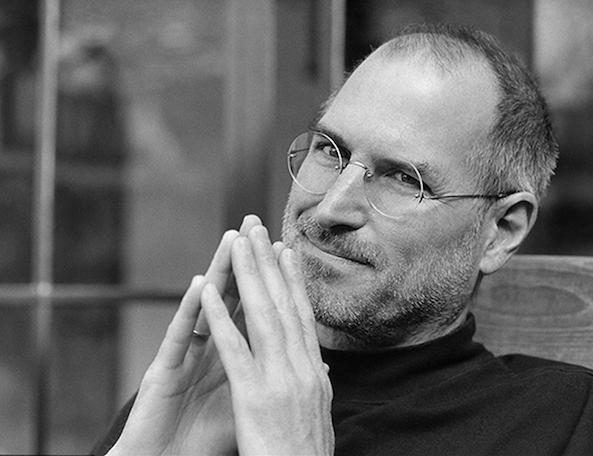 Are you using images to convey information? If yes, you should pin your posts in pinterest. Create boards with relevant keywords, for example if you are going to pin the posts about blogging then create the board with blogging as name, which help people to identify the subject of your board. Stumbleupon is one of the oldest and popular bookmarking site where you can submit your posts. Actually the success in stumbleupon lies on the tags and description you are providing. So submit your link with more appropriate tags and description then see the magic. WhatsApp is changing like a social network. There are lot of groups in WhatsApp for several topics. If you have friends in groups related to your niche, ask them to add you in the group and start interacting with people. Try to solve their problem or provide useful tips by which you can grab the attention of users. Once you got your own fans then you will get lot of traffic from those groups. Are you having a photography blog? Are you creating new cartoons or graphical arts? Then you never skip Flickr. Even yoi can submit screenshots taken for your blog post with proper tags and description, also you can add link to your post in description. LinkedIn is full of Professionals, Job seekers. If you write motivational posts for job seekers or on professional ethics then you can get huge traffic from linkedin through sharing your posts. Keep in mind don't annoy the people with more links. Start building Email Marketing list for your blog with subscribe box. Whenever you publish new post you can announce them that you have something interesting in your box. You can use free options like feedburner, aweber, mailchimp for email marketing. Scoop.it is a content curating site where you can submit your blog posts. Create categories in scoop.it and submit your posts in appropriate in categories. You should also curate other's contents so that your readers will stick to your account which will increase your brand value among readers. Thanks for reading till the end patiently, sharing is caring..! Whenever you publish new posts submit it to social networks with proper tags and categories. Also feel free to share other's posts. If I missed any good social marketing site, inform us through your valuable comments and if you find this useful subscribe to us, to get more tips like this right in your inbox..! Sharing our post and dropping your valuable suggestions creates good engagement which motivates bloggers over here and tends them to reveal more untapped secret tricks. 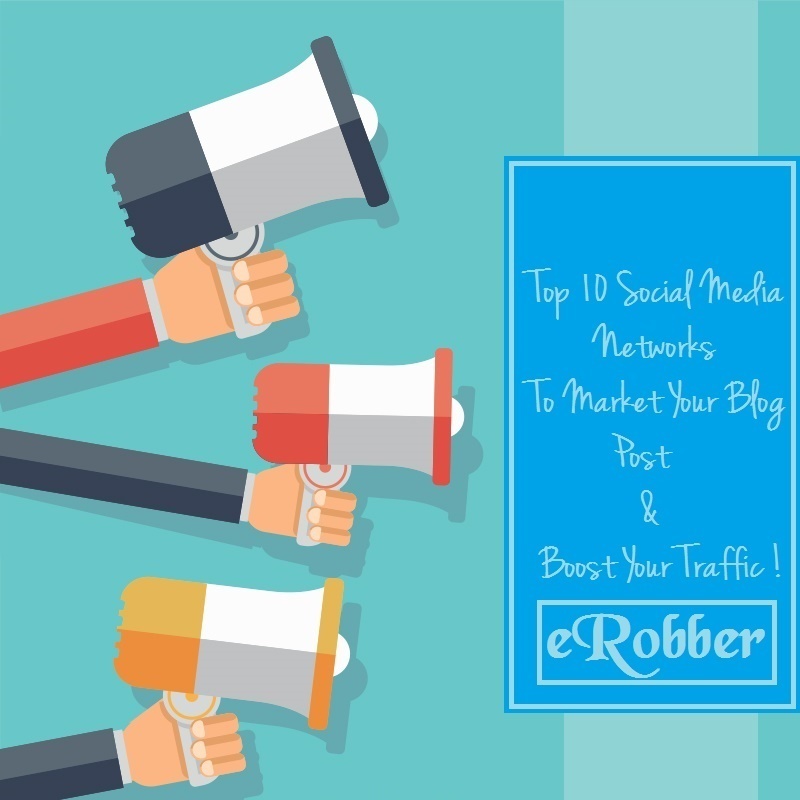 eRobber: Top 10 Social Media Networks To Market Your Blog Posts & Boost Your Traffic !